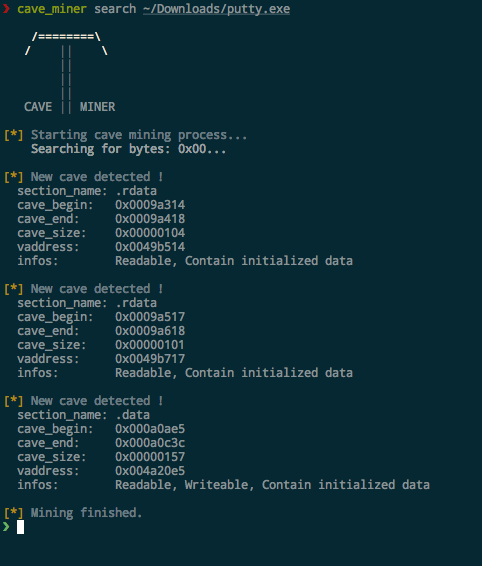 This tools search for code cave in binaries (Elf, Mach-o, Pe), and inject code in them. 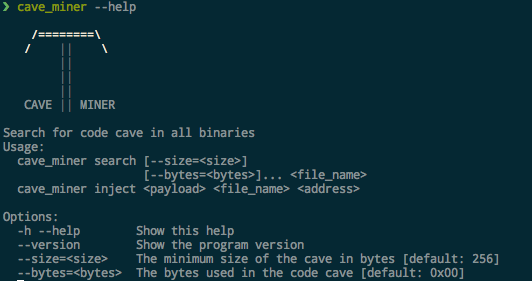 See virtual address of the code cave. See the permissions of the code caves.